I'm proud to announce that I will be taking my talents to El Dorado Elementary School starting this Fall. I thought it was only right that I steal Lebron's line to announce that I was given the opportunity to join the team at El Dorado. I have been working hard for this moment. I can't wait to finally get in to my very own classroom. I'm looking forward to working with all the staff at El Dorado to provide every student with the best education possible. I'm looking for help in getting my students the materials they need to be successful. I work at a school in a low socio-economic area. I want to provide my students with as many resources as I can in order to help them become lifelong learners. If you're interested in helping, click on or share the link below. For the next 7 days, if you use the promo code EMPOWER on the project "One Dribble Away From A Healthy Life! ", donorschoose will match any donation up to 100 dollars. 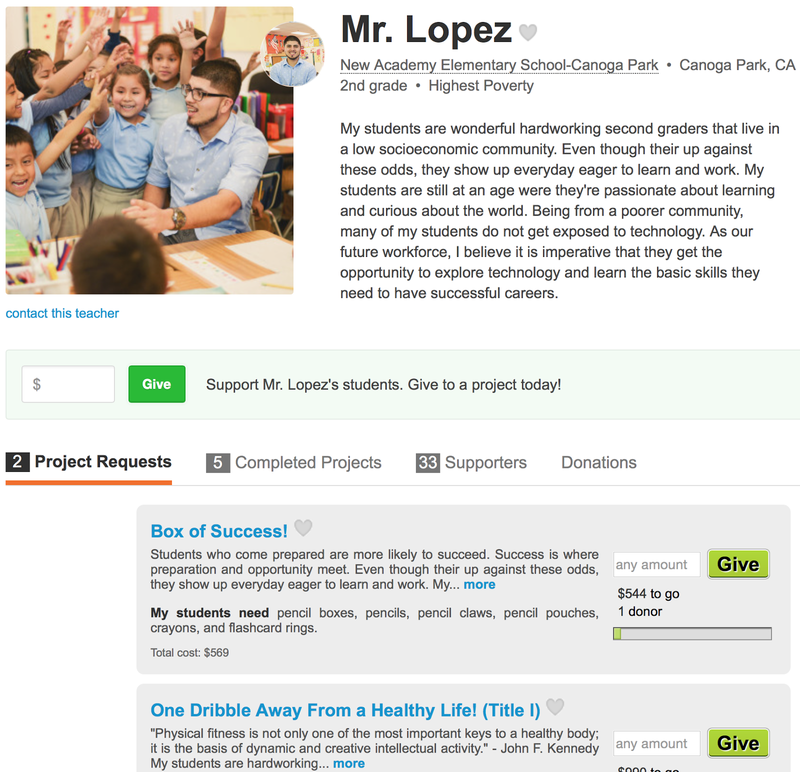 Checkout my 2nd grade class and I on this Donorschoose case study for Amazon Business. When I post projects on Donorschoose I always go through Amazon Business to find the materials my students. Amazon is the one stop shop! Whatever you are looking for you can find on amazon. Students have very short attention spans. Research shows that physical activity helps students keep their focus. I think its important not to overload students with information. They should be given breaks throughout instruction so they don't get burnt out. I like giving my students brain breaks and find them to be very effective. One of my favorite resources for brain breaks is Go Noodle. This website offers awesome dance along and fitness videos. You can do yoga, dance zumba, or even an indoor recess on rainy days. My students absolutely love Go Noodle! Make sure to check out the Koo Koo Kanga Roo channel, you won't regret it! Here's a how to on using Go Noodle. iTeachbro. Picture Window theme. Theme images by LUGO. Powered by Blogger.